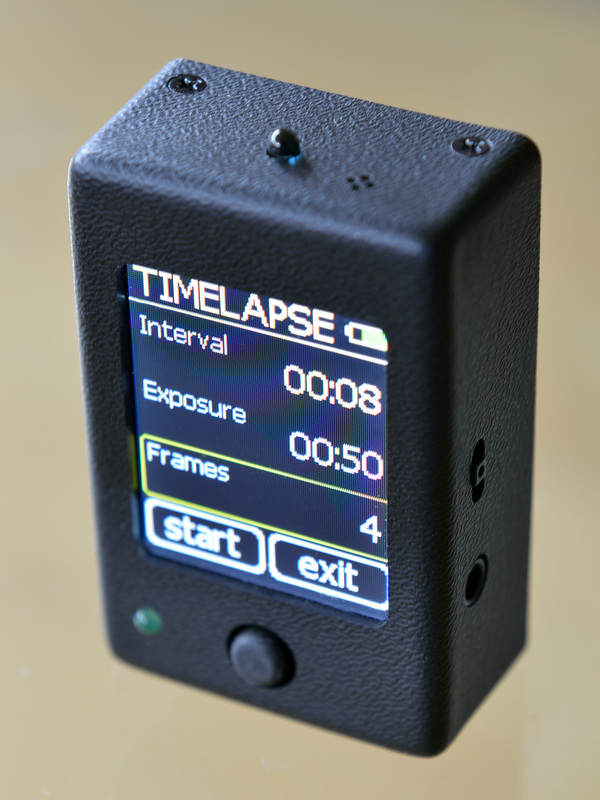 The µ-Trigger is a small device that allows the photographer to enter areas that have been difficult before: very long time-lapse photography, triggering the shutter or flash unit on the occurrence of sound or light events. Even bracketed series of (very long) exposures to capture exceptional HDR scenes. 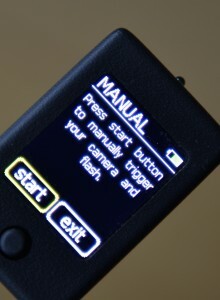 The device can mount to the camera, connects to the camera shutter cable input and to the flash unit. 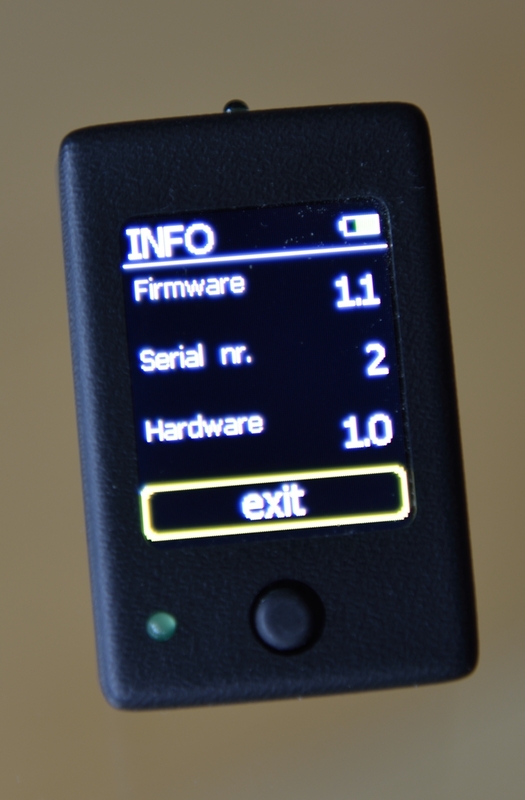 There is even an extra input that allows connecting the device to your other (home built) sensor electronics. The device has an internal battery that lasts for days of intensive use and that can be charged via a mini-USB connector. This device truly expands your creativity! Scrolling down using the 4-way button will make the other options appear. 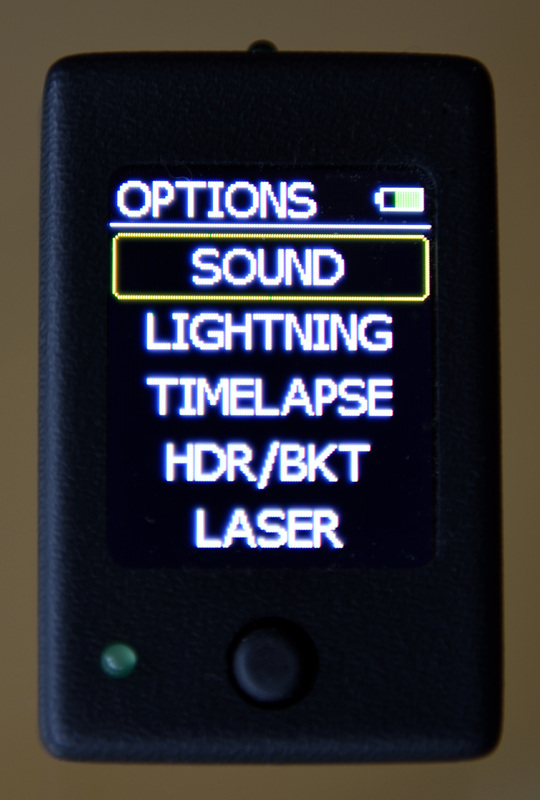 Triggering the shutter of flash on a soft or loud sound event. The sound-sensitivity can be adjusted and checked live on the screen. 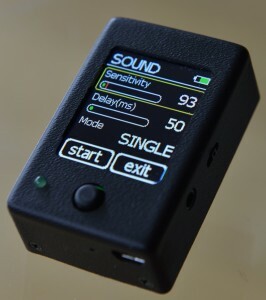 The delay between sound event and activation can be set in 1 millisecond steps. The Mode setting allows taking a Single shot or Continuously on every event. 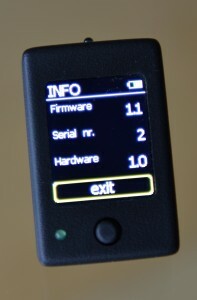 The light sensor is situated at the righthand side in this image. The trigger sensitivity can be viewed live on the screen and adjusted. 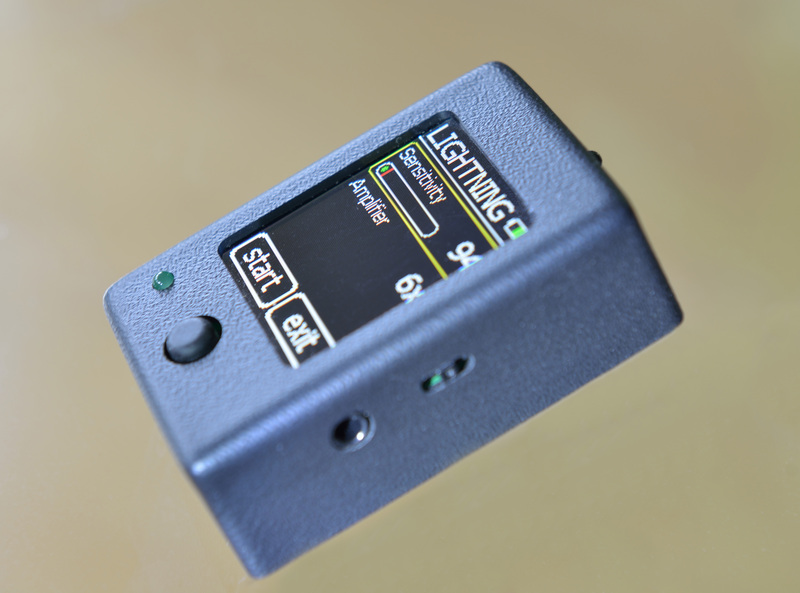 The ‘amplifier’ setting defines the coarse sensitivity range. 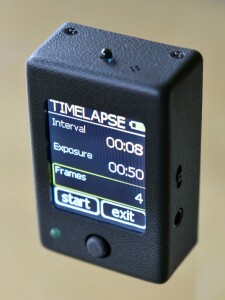 In timelapse mode the exposure time can be set, the number of frames to shoot and the interval time between frames. 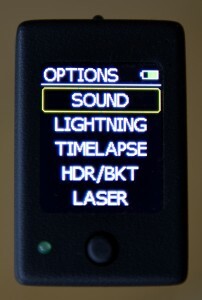 This mode is of importance for very long exposure times, longer than what the camera is capable of in automatic mode. The High Dynamic Range/Bracketing mode allows shooting a series of shots with increasing exposure times. 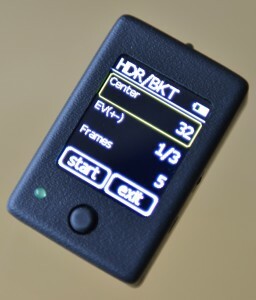 The center exposure time of the series is specified, the exposure step in EV (1, 1/2 or 1/3) and the number of frames to shoot (3, 5 or 7). 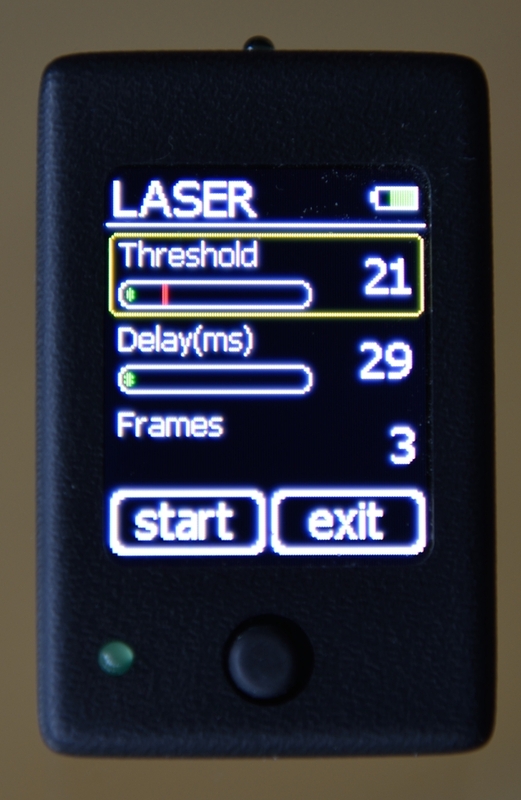 In the Laser mode the µ-Trigger reacts to the interruption of a laser beam, for example when an object crosses the beam. 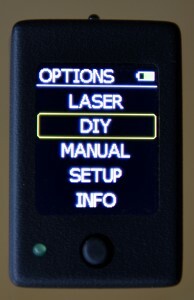 The light sensitivity can be adjusted and checked live on the screen. 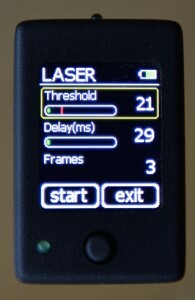 The number of frames that can be taken automatically can be set, as well as the delay between the event and the shutter/flash. 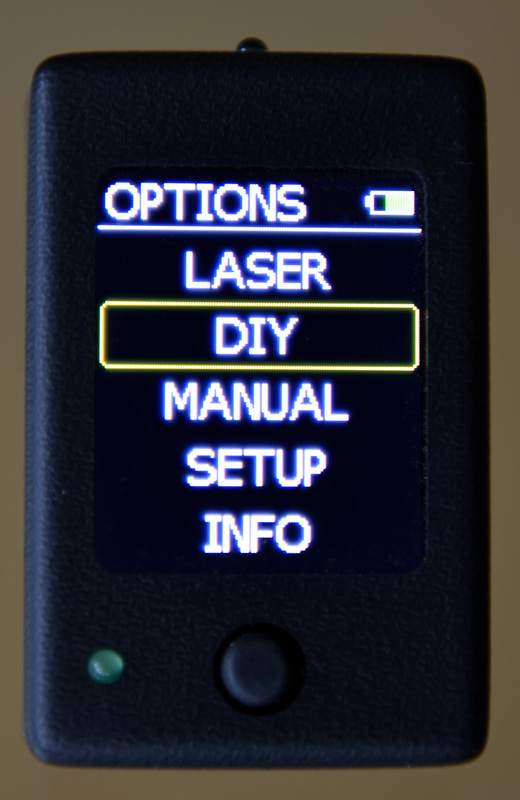 The light sensor is at the top in this image. 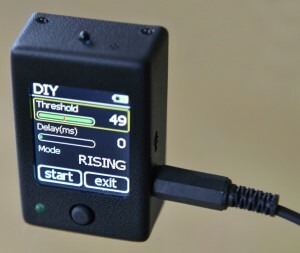 The µ-Trigger in DIY mode, with external sensor signal connected. 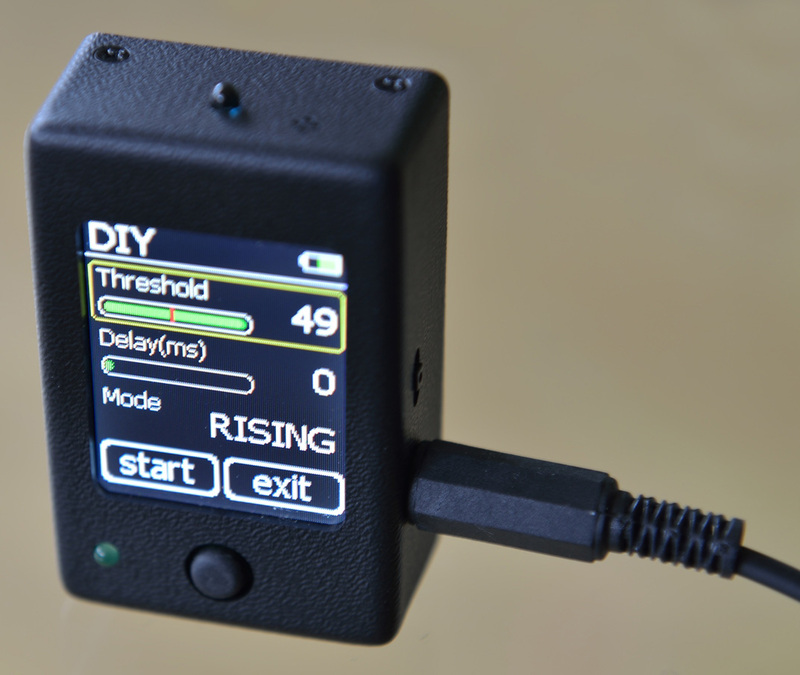 The DIY mode allows connecting an external sensor signal and having the µ-Trigger react when the signal crosses the threshold level, either in rising, falling sense or both. 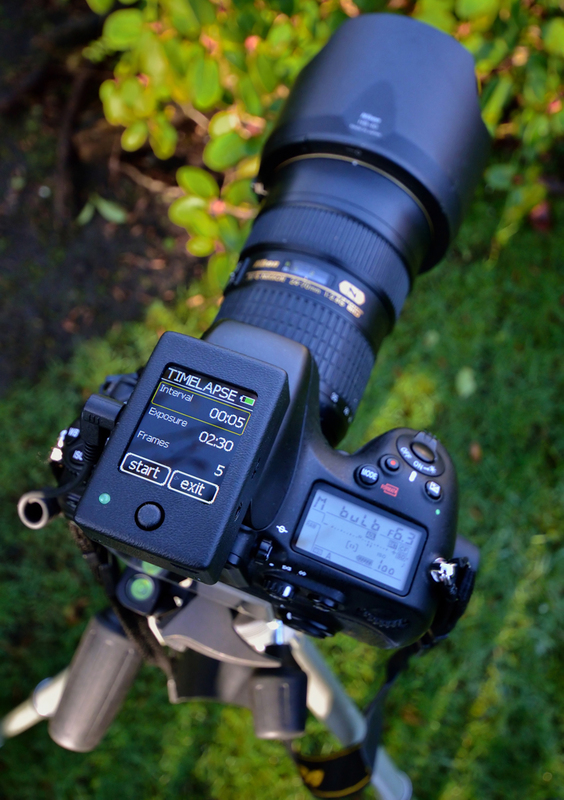 There is an adjustable delay between event and activation of shutter or flash. The µ-Trigger’s screen backlight intensity can be set: bright for use in full daylight, or darker at night and to save on battery power. 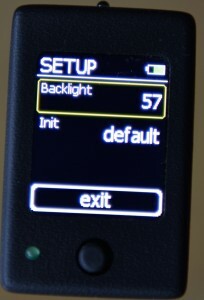 The unit remembers the setting for all modes, but these can be reset to the factory defaults. 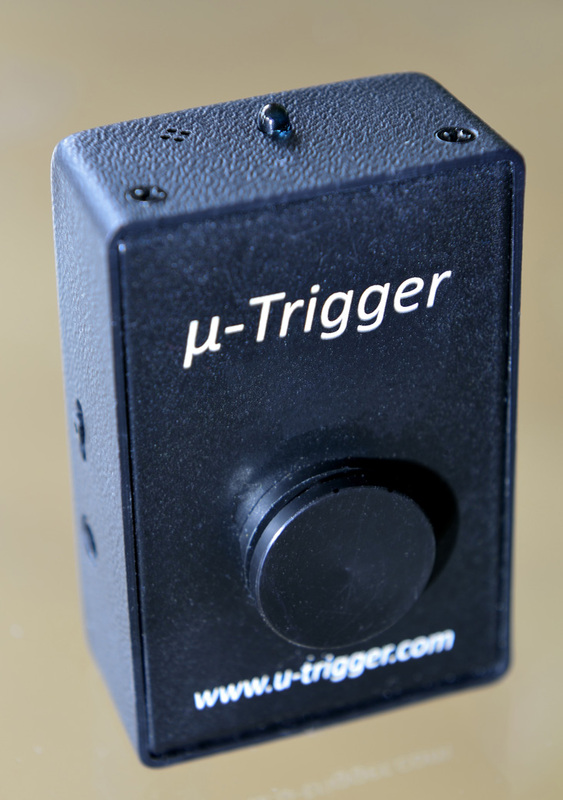 The µ-Trigger mounted on a camera. 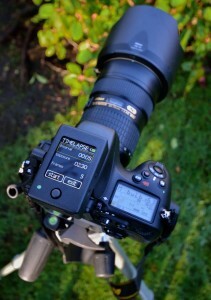 The rear of the µ-Trigger showing the sliding adaptor that fits to the camera’s hot shoe. Also visit the site of the manufacturer here. And for a collection of photos visit this Flickr site Rob Millenaar's µ-Trigger set.